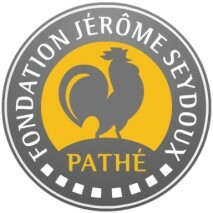 A while ago we reported on the marvellous Fondation Jérôme Seydoux Pathé site which documents the rich heritage of the Pathé film company. At that time it was noted that a Pathé filmography was not on the site, but was promised. Well, it’s there now. Un livreur et sa charrette s’arrêtent devant un marchand de graines. Pendant que le livreur monte dans les étages pour déposer du linge chez un client, le cheval mange un sac d’avoine. Le livreur s’en aperçoit et, grimpant dans sa voiture, s’enfuit. Le grainetier leur court après. Après maintes péripéties, poursuivi par une foule sans cesse ac­crue, le cheval rentre à l’écurie. Son propriétaire disperse les poursuivants en les arrosant copieusement. Sortie: Le Cirque d’Hiver, Paris, du 3 au 9.1.1908 Dans son numéro 69 du 1.2.1908 Phono-Ciné-Gazette sous la rubrique “ Le danger au Cinématographe” contait que… le collaborateur qui dirigeait la voiture a risqué sa vie car le véhicule a fait un panache auquel on ne s’at­tendait pas au moment où elle arrive en plein marché! Et dans The Moving Picture World du 9.4.1910 l’annonce de l’arrivée de Louis J. Gasnier à la direction du studio Pathé de Bound Brook était suivie d’une anecdote concernant le tournage du Cheval emballé : Mr Gasnier is a man of great resource and has had many trilling adventures in the production of films. One notable instance of this was during the photographing of the almost classic film The Runaway Horse much comment was heard as to how it was possible to secure a horse with such intelligence as this one seemed to have. The secret of the matter lay in the fact that underneath the body of the wagon which was a two-wheeled vehicle, there was attached a coffin with the end knocked out. This was chosen because of its interior padding. In this, Mr. Gasnier took his position, face downward, and dressed entirely in black, with black gloves and a mask similar to those used on the days of the Inquisition, over his face, and from here he drove the spirited cavalry horse by means of two steel wires of the ends of which were fastened sticks for him to bold in his hands. The shafts of the wagon were fastened to the body by steels bands but in spite of this arrangement Mr. Gasnier was nearly killed. Just after the scene which shows the wagon knocking down the scaffold, the steel bands broke and Mr. Gasnier, as the wagon pitched forward and turned a complete somersault, was so badly injured that he was unconscious for more than half an hour and spent fifteen days in the hospital. The horse, at the time of this accident, was really running away, and having rid himself of the cart, dashed ahead, and finally ran into the river. Mr. Gasnier’s nerve is shown by the fact that after his release from the hospital he got back into the repaired vehicle and finished the picture. So the catalogue is in French, but with smatterings of English where English or American trade paper sources are quoted. Not all records are so detailed, but here you get title, catalogue number, telegraphic code (used for ordering titles), length, category, credits, synopsis and notes. The Pathé catalogues were divided up into categories or genres, and you can use the online filmography by such original terms as ballet pantomime, comédie, comédie dramatique, comédie policière, drame historique, scène biblique, scène d’acrobaties, scène d’actualité, scène d’industrie, scène de féerie, scène de mythologie, scène de plein air, scène de sport, scène de vulgarisation scientifique, scène grivoise, scène historique, scène militaire and vue panoramique. You can also browse by title and by credit, which includes authors of adapted works (Balzac, Tolstoy, Shakespeare, Zola etc) as well as directors, scriptwriters and performers. 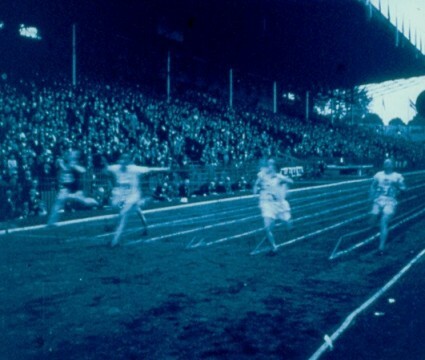 This is a huge boon for early cinema researchers. It is worth noting that the intention is the document the entirety of the Pathé output (exlcusing newsreels and the like), so there are the films issued by the company’s Italian (Film d’Arte Italiana), Russian (Film d’Art Russe) and British (Britannia Films) offshoots, as well as Pathé’s own French variants such as Société cinématographique des auteurs et gens de lettres (SCAGL). And don’t forget to explore the rest of the Fondation’s site, in particular its extensive and illustrated database. For people doing research on early cinema it is fantastic to have the Bousquet Catalogue of Pathé on-line. It is also a very practical tool for identifying films or checking identifications. So let’s not only dream of having the catalogues of all the other productions on-line too, but let’s all try our best to make them arrive in the net!